A New Season of Mad Men Means a New Mad Men Yourself You! So in case you’ve been under some sad, sad rock where the gentle glow of quality television program does not shine, Mad Men‘s fourth season fast approaches, by which I mean why the f*ck isn’t it July 25th already? Seriously. The Mad Men cartoons by Nobody’s Sweetheart‘s Dyna Moe are inspired stuff by any account, but they’re Mad Men crack if you’re a fan of the show. Given that I could stare at it all day, “Joan and the Xerox” is my desktop wallpaper at work, which means I get to stare at it all day. Mmm….Joan. 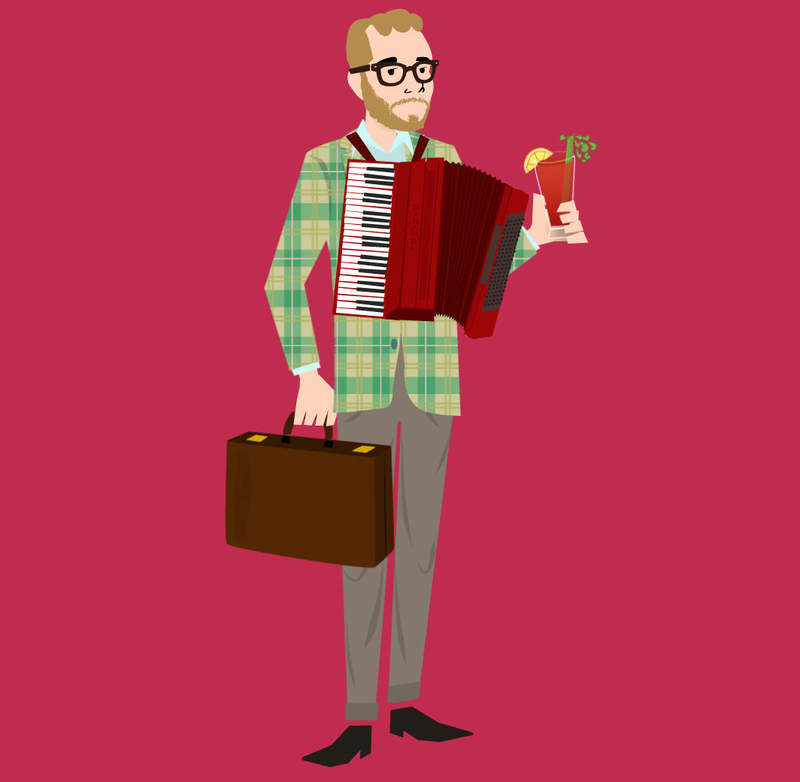 Anyways, the geniuses behind Mad Men‘s marketing have properly outdone themselves (I bet they work for Sterling Cooper), and created the greatest time waster I could have ever wished for: The Mad Men Avatar Generator, MadMenYourself.com. And yes, that faint popping noise you just heard was the sound of my head bursting like a ripe cantaloupe on account of a severe enthusiasm overdose. Me: Why hello, Don. You’re looking fetching in your suit. As usual. Cartoon Don Draper: Why thank you. It may not be work appropriate over here at Sterling Cooper, but you look quite dapper in that cardigan. And I should know, because my last name’s Draper. Get it? It’s a pun. Ha. Would you like to go for drinks during lunch? Cartoon Don Draper: What’s that? It’s no secret that I can’t wait to see Obsessed. I’ve long enjoyed watching Ali Larter since her days in The House on Haunted Hill and Final Destination, and I’m quite serious that I believe this movie will make her a camp icon for a generation of the gays. She’s like the Gina Gershon to Beyonce’s Elizabeth Berkley. Now theres a new viral marketing campaign for the movie, Get Obsessed With Ali, and it’s totally set my camp sensors off. Ruh-roh! Looks like Ali Larter’s my batshit insane stalkerriffic fag hag! I hate it when that happens (I’m totally lying when I say that). Beyond simply being a total pleasure to watch Ali’s eyes burn like a the flaming pyre of a warehouse of Levi’s bootcut crazy jeans burning to the ground, the ending is an absolute LOL-bomb, y’all. Make sure you’ve just peed before you you make your own Get Obsessed With Ali video; you might otherwise wet yourself. If this site is any indication, then Obsessed is well aware of the trashopalooza that it is. April 24th will clearly be the campiest day of this month, and I’m painfully giddy in anticipation. You should be too.